The Cornish Cinema Club and Plymouth Snowsports Centre are bringing you Outdoor Cinema for the first time! 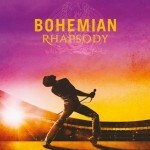 We are showing the highly acclaimed and loved; Bohemian Rhapsody! There will be Hot Food & Drink available all evening. Gates will open at 6.30PM and don't forget to bring a blanket to sit on and to wrap up warm! The Cornish Cinema Club and Porthmeor Beach are bringing Cinema to the Beach again after the success of last year! We are showing the highly acclaimed and loved; A Star is Born! Please note this is a 15 Rated film, so please no Children! The Takeaway will be serving hot Food & Drink all evening. The Takeaway will be serving from 7.00PM so come on down early, grab your seat and something awesome to eat! To kick off our summer season, we are bringing you the highly acclaimed and perfect Sing a Long - Mamma Mia Here we Go Again! This film has been massive Worldwide and we couldn't think of a better film to carry on our 2019 season with, so make sure you bring your best singing voices! The film start time will be 9.30PM, with gates opening at 6PM. We anticipate this selling out very quickly so don't leave it too late! Food and Drink will be available as normal from the Cafe. We are showing the highly acclaimed and loved; Mamma Mia - Here we go Again! To carry on our summer season, we are bringing you the highly acclaimed and multi award winning; The Favourite! This film has been massive Worldwide and won numerous awards including Oscars, BAFTA's and the list goes on! This is also a 15 Rated film, so please no children! The film start time will be 9.45PM, with gates opening at 6PM. We are showing the highly acclaimed and loved; The Greatest Showman! To carry on our summer season, we are bringing you one of the the most popular and classic films of all time; Grease! Fancy dress is encouraged for this one, so dig out those T Bird's and Pink Lady costumes! The film start time will be 9.15PM, with gates opening at 6PM. To carry on our summer season, we are bringing you one of the the most popular films of last year; Aquaman. The film start time will be 9.00PM, with gates opening at 6PM. We are showing the highly acclaimed and loved; Moana! To carry on our summer season, we are bringing you Bohemian Rhapsody due to the huge demand last time we had it on! To carry on our summer season, we are bringing you undoubtley the most popular film for a long time, The Greatest Showman! The film start time will be 8.45PM, with gates opening at 6PM. We are showing the highly acclaimed and loved; Mary Poppins Returns! To bring our Summer Season to and end we are putting on the classic Disney remake; Dumbo (2019). The film start time will be 8.30 PM, with gates opening at 6PM.